Happy Woman Celebrating Fitness And Sport Exercising Success... Stock Photo, Picture And Royalty Free Image. Image 33530429. 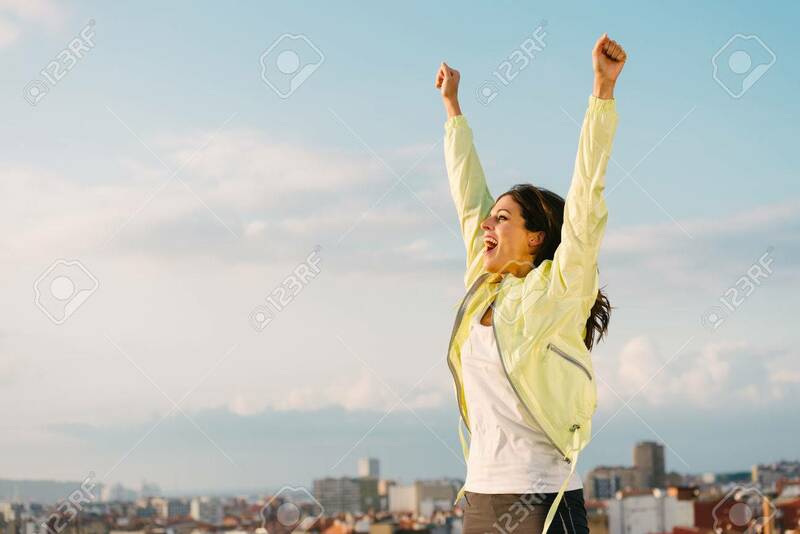 Stock Photo - Happy woman celebrating fitness and sport exercising success. Successful female athlete raising arms to the sky on city skyline background. Happy woman celebrating fitness and sport exercising success. Successful female athlete raising arms to the sky on city skyline background.